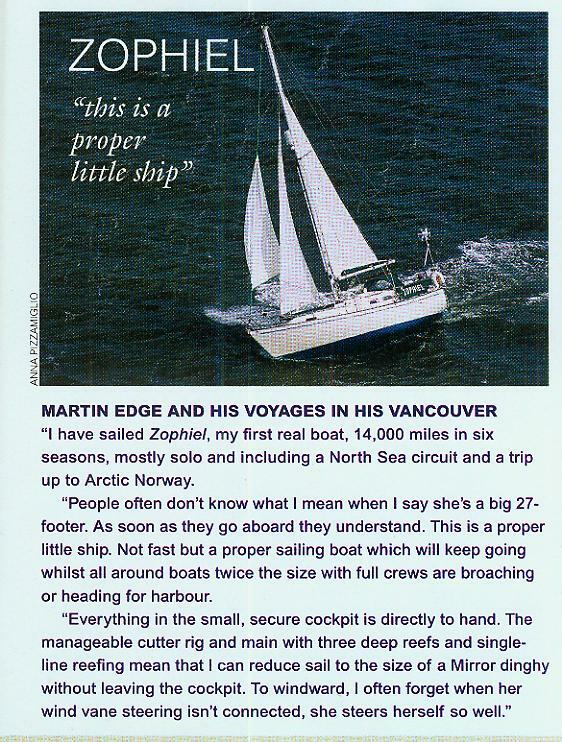 Zophiel: Most of the links on these pages are about recent travels aboard my Vancouver 27 ‘Zophiel’, a 27ft long keeled cutter rigged yacht. In the last 6 years I’ve done some 14000 miles aboard Zoph, the majority solo and all at the breakneck speed of 4 or 5 knots. We’ve twice been over to Scandinavia, once heading north to the Lofoten Islands in the Norwegian arctic and once doing a southerly North Sea circuit. 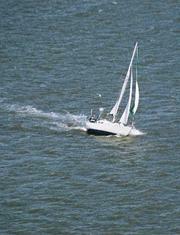 In 2011 we circumnavigated Ireland - the wrong way. The image on the left appears quite a lot. 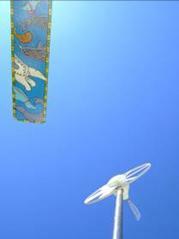 It is Zophiel’s battery charging wind turbine and her wind vane, which is part of the wind powered self-steering system, taken by Anna in Norway. 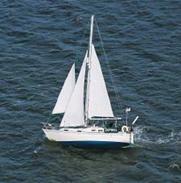 Check out the Vancouver Owners Association, a review of the Vancouver 27, a specification sheet and an article. The Vancouver 28, a very slightly amended design, is still made by Northshore somewhere in the deep south.